Maintaining your oral health is important for everyone. Yet, men have been shown to be less likely to keep up with preventative dental care and more likely to ignore dental concerns. Vancouver family dentist, Dr. Lunn, aims to emphasize the importance of oral health for men, helping to improve not just their mouths and teeth, but also their bodies. Periodontal disease is when bacteria make a home inside of the gums, causing the gums to create pockets around the teeth. As far as teeth are concerned, periodontal disease is actually one of the most common causes of tooth loss. But it also goes beyond the teeth. The bacteria that surround your teeth, if allowed, can travel through your bloodstream, putting you at a greater risk of cardiovascular disease, including heart attack and stroke. Seeing a dental hygienist on a regular schedule can keep these bacteria in check, removing any tartar that might be building up below the gum line and cleaning out bacteria. The hygienist will also be able to see if the bacteria need more intervention before it turns into a more serious problem. Smoking is connected with lung cancer and lung disease, but it also has other long-term lasting effects. Both smoking and chewing tobacco are linked to gum disease as well as oral cancer. Men have been shown to be twice as likely to suffer from oral cancer as women. Oral cancer can appear on the tongue, lips, and gums. When caught early, this type of cancer can be treated. If left, oral cancer will spread aggressively, putting victims at risk of facial disfigurement, chronic pain, and death. Seeing the dentist regularly will give you a better chance of catching oral cancer in its early, and more treatable, stages. If you are a man who does keep up with regular medical appointments, you might have been prescribed medication to treat some health conditions. While that is wonderful for your physical health, some medications bring with them complications that can affect your oral health. Medications to treat blood pressure, the heart, and even anti-depressants run the risk of causing dry mouth. As saliva is your mouth’s first defence against cavities, when you are missing saliva, your mouth is left vulnerable to bacteria. Paying a visit to your dental hygienist can help keep you aware of dry mouth as well as offering some solutions to combat it. 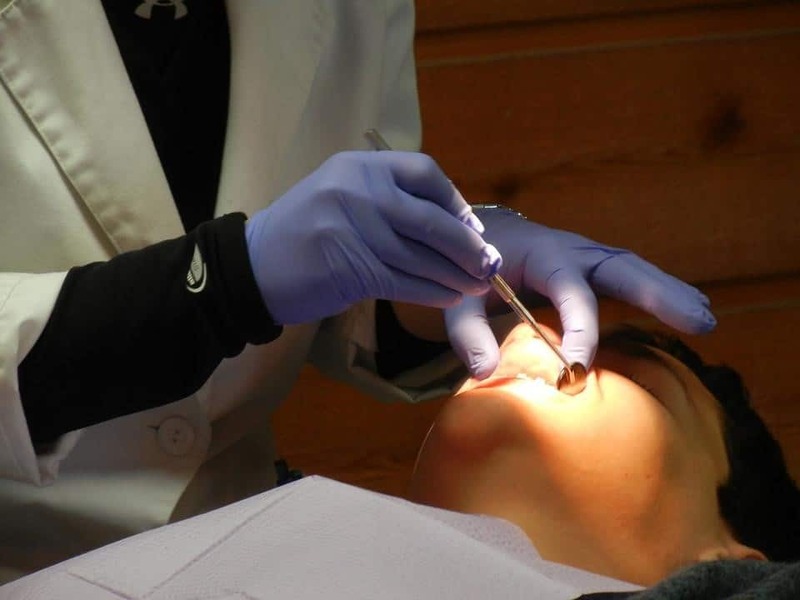 The hygienist can also remove any built-up bacteria and together with the dentist find any places that cavities have taken hold throughout the mouth. Playing sports can help keep you physically fit, but some sports can also put your teeth at risk. Men do have a higher tendency to play contact sports, meaning they are at more risk of being hit during a game. Sports like hockey, basketball, baseball, and even soccer can put your teeth at risk from being hit. Trauma to the teeth can cause tooth loss if a tooth is knocked out. If a tooth is lost, a gap can be created. If left untreated, all of the teeth throughout the mouth will shift and change to adjust for the space. Seeing a dentist after you have been hit is a good idea, but seeing one before getting hit is even better. Your dentist can make or recommend a mouth guard for you to prevent damage to the teeth during sports. If you are a man who has not been keeping up with dental health, it is not too late. By committing to oral health, you will increase not just the longevity of your teeth, but the longevity of your entire body. At home, you should be brushing for two minutes twice a day and flossing once a day. Homecare can help keep your teeth healthy in between dental visits. You should see the dentist at least twice a year for cleanings and examinations. Don’t let your oral health get away from you. You can keep a healthy smile and a healthy body, putting you on the right path for your future.